ENERGIZED HOMES. Atty. William S. Pamintuan (left), Meralco First Vice President and Head, Legal; and Jeffrey O. Tarayao (right), President of One Meralco Foundation and Chief CSR Officer of Meralco represented the company during the turnover ceremonies of the MVP Tulong Kapatid Homes in Brgy. Lambajon, Baganga, Davao Oriental. Meralco helped the Davao Electric Cooperative (DORECO) restore electrical facilities in 2012 after Typhoon Pablo knocked down poles and transmission lines in the municipalities of Cateel, Boston and Baganga. The foundation funded the extension of DORECO’s electrical facilities to reach the new homes of the typhoon victims. BAGANGA, DAVAO ORIENTAL — Victims left homeless by Typhoon Pablo (int. Bopha) in Davao Oriental no longer have to stay in temporary relocation sites after receiving their permanent concrete houses donated by the MVP group of companies in partnership with the provincial government. The 266 houses sit on a vast property in Brgy. Lambajon, Baganga town set aside by the provincial government for residents who lost their homes to the powerful tropical cyclone. Baganga and nearby municipalities of Cateel and Boston were the hardest hit by the typhoon when it swept through the province in December 2012. One Meralco Foundation (OMF), the social development arm of Meralco, both chaired by businessman and philanthropist, Manny V. Pangilinan, was among the first to respond in the typhoon’s aftermath. OMF sent Meralco’s power restoration team, a contingent of 38 linemen and engineers, to assist the local electric cooperative, Davao Oriental Electric Cooperative (DORECO), to restore power throughout the province. Categorized as a ‘super typhoon’ due to its sustained winds of up to 280kph, Pablo destroyed hundreds of houses mostly situated near coastal areas and knocked down a vital backbone of DORECO’s electricity distribution facility. For more than a week, the Meralco and DORECO teams worked day and night to rebuild 22 kilometers of electrical facilities while survivors relocated in makeshift shelters groped in the dark. Apart from rebuilding power lines, the Meralco power restoration team also brought relief goods and distributed them to victims along the way. The Davao Oriental power restoration project is by far Meralco’s farthest restoration work outside of its franchise area and the first in Mindanao. Cabinet Secretary Jose Rene Almendras (5th from left) and Gov. Corazon Malanyaon with the executives of various MVP companies. 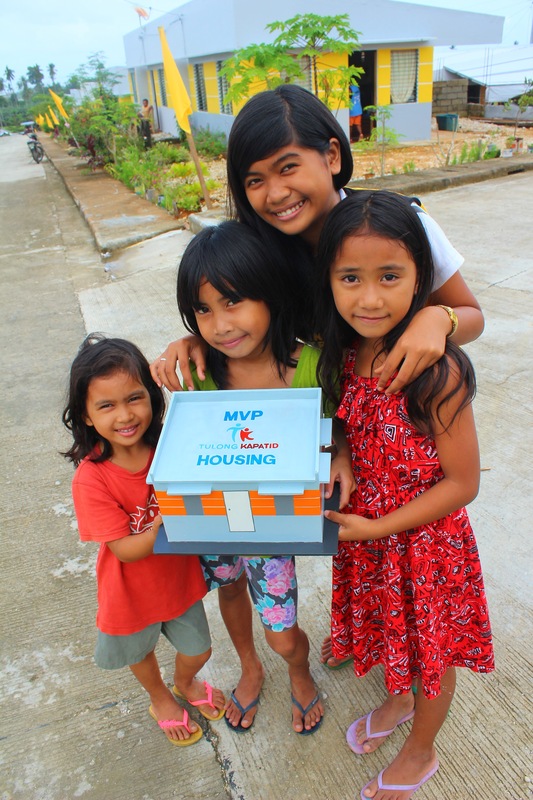 In 2013, companies in the MVP group led by PLDT-Smart Foundation offered help for the relocation of families living in temporary relocation sites. The provincial government worked on a property located in Brgy. Lambajon for the MVP housing project. The group officially broke ground in January that year. The MVP housing site was subdivided into 266 lots. Rows of uniformly designed bungalow houses and a community clinic were erected on the site. Construction on each house followed a strict engineering standard. The houses’ unique shape was intended to make it withstand typhoon winds as strong as Typhoon Pablo’s. 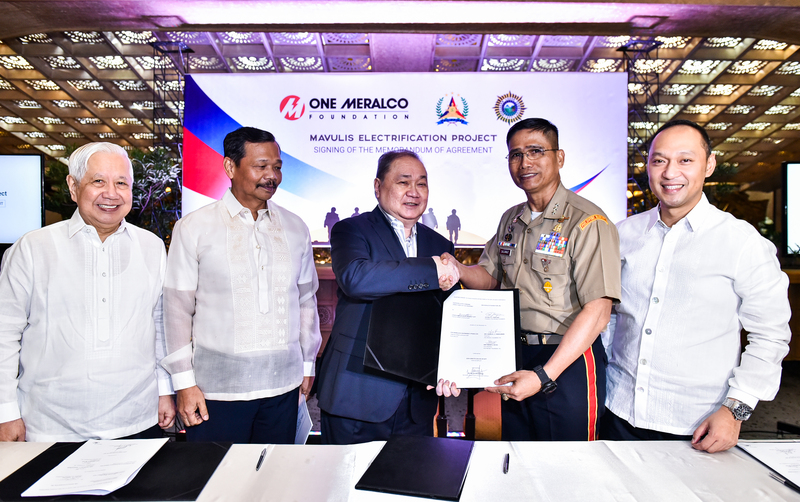 One Meralco Foundation, for its part, renewed its partnership with DORECO this time to ensure that each household in the MVP housing project has access to the cooperative’s electrical service. OMF funded the extension of DORECO’s facilities including electric poles, transformers, loadside wires and other necessary equipment to the homes of the relocatees. “Providing a decent and sturdy home to these families is one of the many initiatives to attain full rehabilitation. 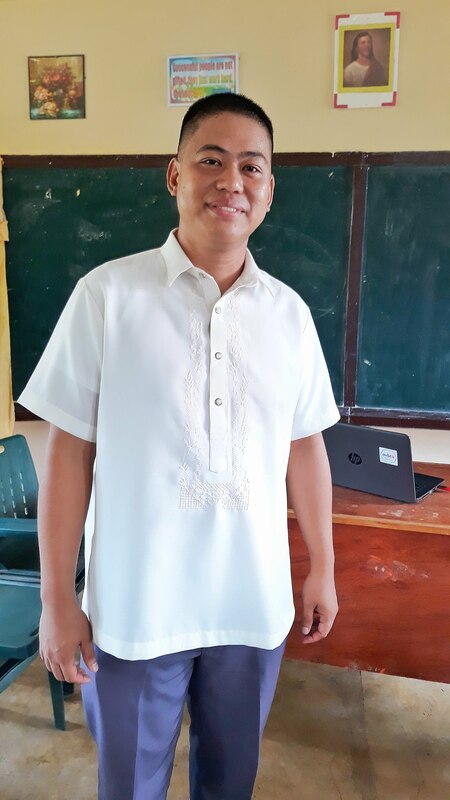 Bringing electricity to make them more productive is another big step to bring back the normalcy in the lives of the beneficiaries,” explained Jeffrey Tarayao, President of One Meralco Foundation and Chief CSR Officer of Meralco. 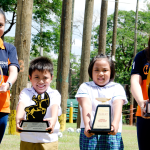 “While Meralco’s business activities are bound by its franchise area, the commitment of its company and employees to serve beyond the call of duty transcends boundaries. Wherever our help is needed, especially when it comes to power restoration, we are ready to help. That’s the Meralco spirit,” he added. Apart from disaster response, One Meralco Foundation’s other major advocacy programs include the electrification of low income households, especially informal settlers and relocatees in the Meralco franchise area, and the electrification of off-grid public schools in remote or isolated mountain and island communities throughout the country.